Pwork is happy to announce the release of their newest mat, Darkburg Fantasy Gaming Mat. 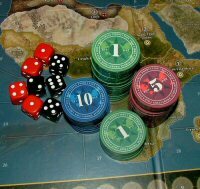 The Darkburg gaming mat is a PVC or CLOTH made rollable terrain mat, ideal for wargames, in size 4×6’ (122x183cm), 4×4’ (122x122cm), 3×3’ (92x92cm), 3×6? (92x183cm), representing the scenery of an abandoned village, among whose deserted streets and spectral buildings can hide any kind of danger. Darkburg offers the possibility of setting battles between armies of miniatures among winding streets, dark corners and decaying buildings. 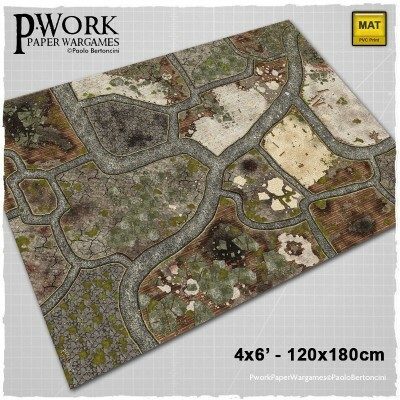 The mat is a perfect fantasy setting for urban-skirmish game play, and also ideal for historical cityfights! Are you ready to battle? 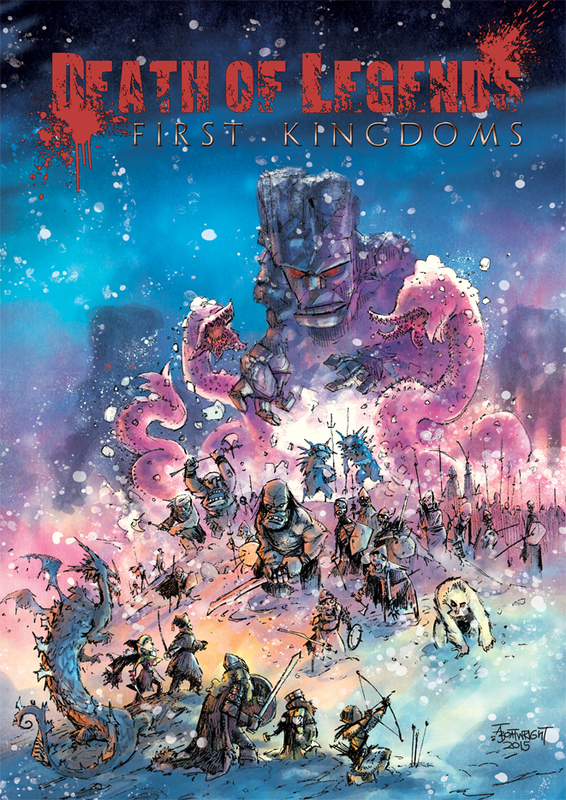 First Kingdoms is an expansion for the Death of Legends dark-fantasy roleplaying game. Take the fight against the Enemy to the frozen, magic-infused, First Kingdoms. This expansion presents a new, highly magical, land where a shared history of war and conflict has fostered an atmosphere of suspicion and distrust between elder and younger races alike. Legendary heroes representing each race must decide who among them can be trusted in the battle for the survival against a powerful and malevolent Enemy who seeks dominion over the First Kingdoms. 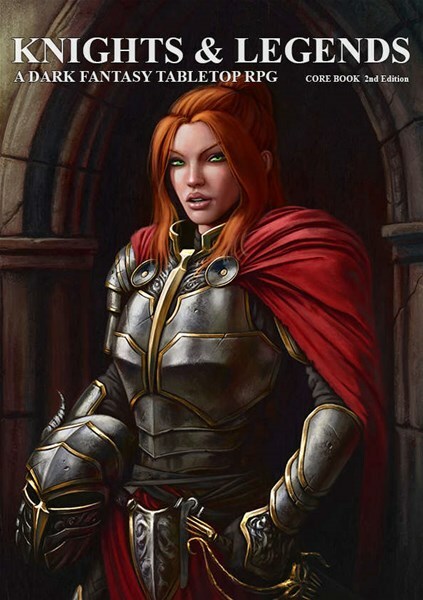 Six new character archetypes including; Ice Dragon, Tree Folk, Frost Elf, Stone Dwarf, Water-Sworn (human) and Royal Coalition (human). A map of the First Kingdoms with 18 territories specific to the characters and one non-aligned territory (Ruins of the Ancients). Five new Final Act cards reflecting special actions or powers that manifest when a Legend dies (and a copy of the ‘In League with the Enemy’ card from the original game). You will need a (free) copy of Death of Legends to use this product.